A fun way for kids to learn about climbing, grow as kids, and burn off lots of energy! This program takes a child’s natural instinct to climb and directs it into a positive life influence. Improves coordination, strength, balance, teamwork, and confidence. Recommended for ages 6 to 14. 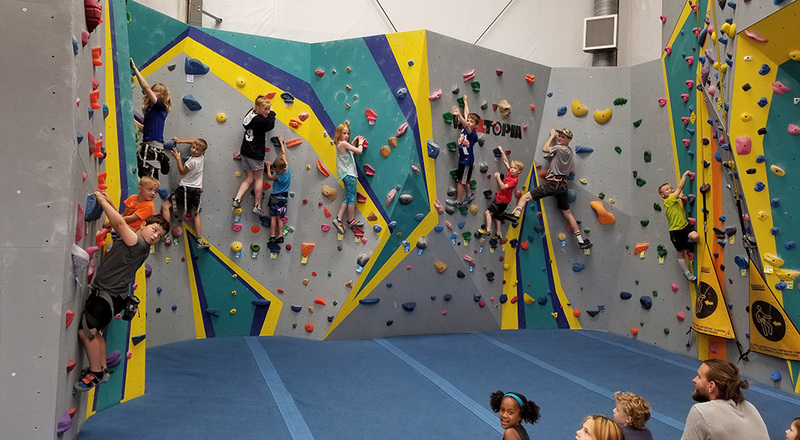 A great opportunity for parents to get a workout in while the kids climb! Includes all climbing equipment and instruction. Supervised by our trained coaches with access to STEEPWORLD amenities including climbing walls and Boulderland. Roped climbing, climbing games, stretching, teamwork exercises, and fun! For a more intensive program, check out STEEPSCHOOL Advanced. Includes unlimited STEEP School visits, a monthly membership to STEEPWORLD Climbing & Fitness, and rentals during SteepSchool.